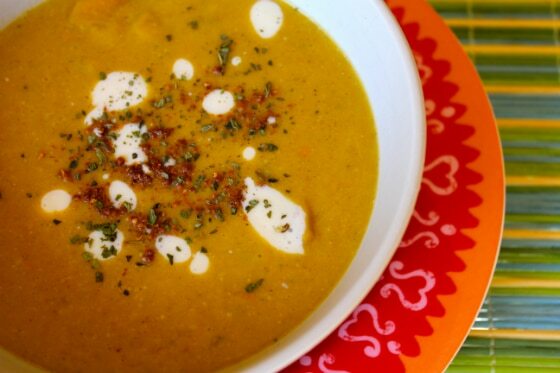 This Creamy Butternut Squash Soup is made dairy-free with cashew cream. 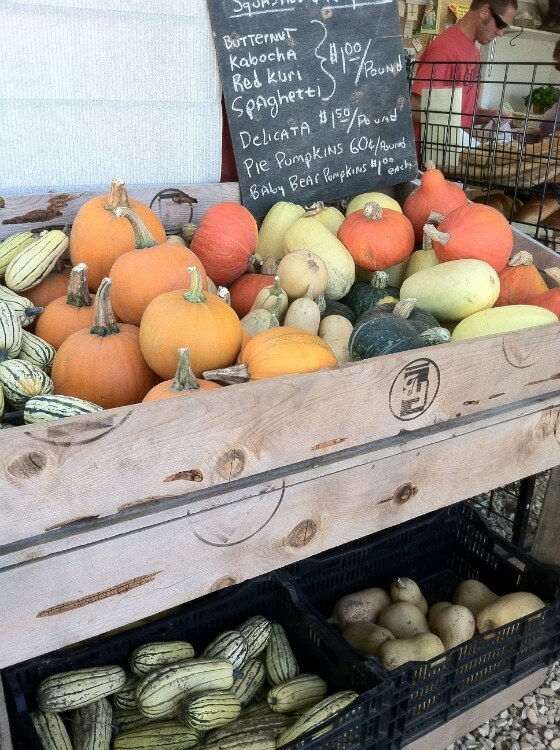 It’s a delicious and satisfying way to enjoy the flavors of fall. I was so happy with how this soup turned out. 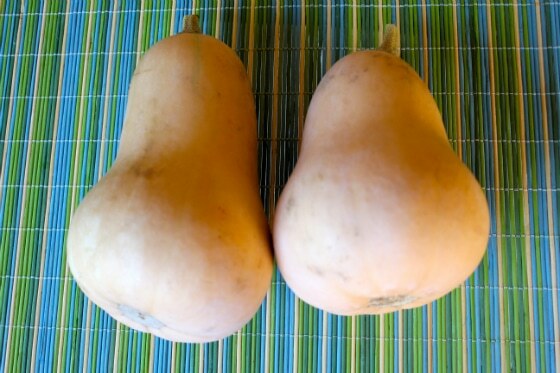 The pumpkin pie spice blend enhances the sweetness of the squash and the texture is divine. 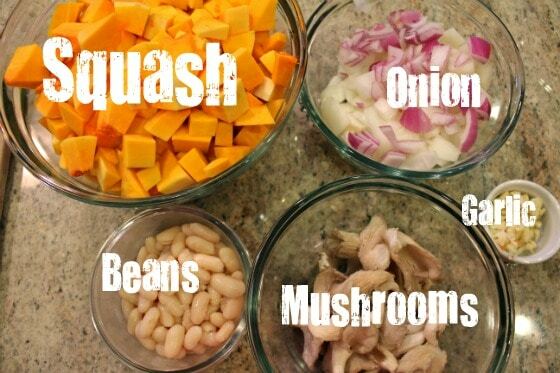 The beans and mushrooms add thickness and enough nutrition to make this soup a meal in itself. Or, should I say, several meals; it makes a lot! I froze some of the leftovers and plan to re-serve them when the weather turns cold(er). In a large pot, heat up a few tablespoons of water. Add onions and stir until softened. 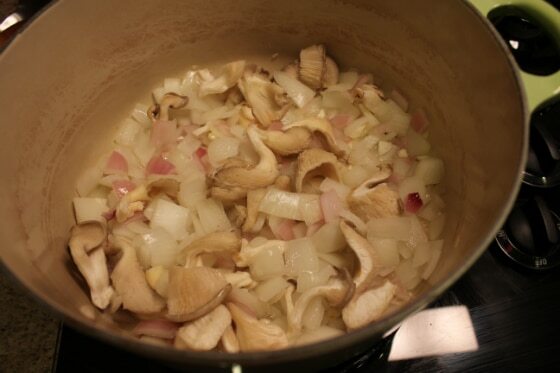 Add garlic and mushrooms and sauté a few more minutes. 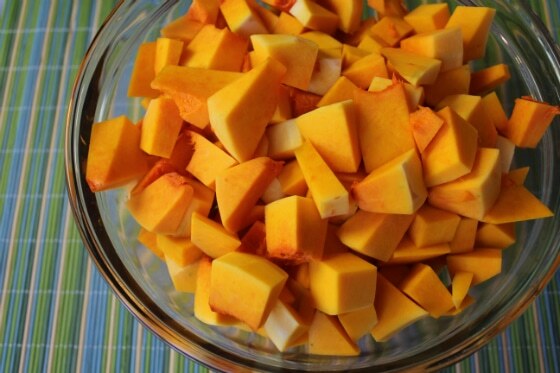 Add spices, butternut squash and beans with enough water to cover. 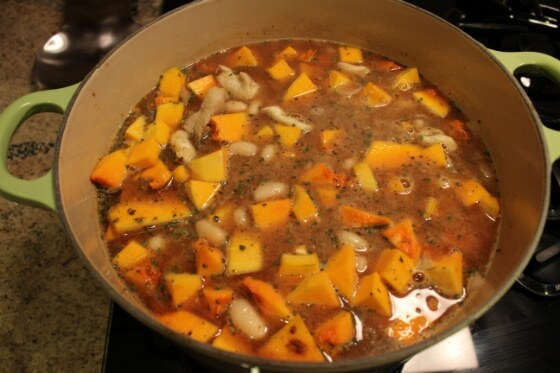 Bring soup to a boil and then lower heat to simmer for 20 minutes. In the meantime, make cream sauce by blending cashews and non-dairy milk. 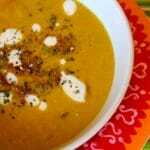 Once soup is finished cooking, use a hand immersion blender to make an even texture and stir in cream sauce. 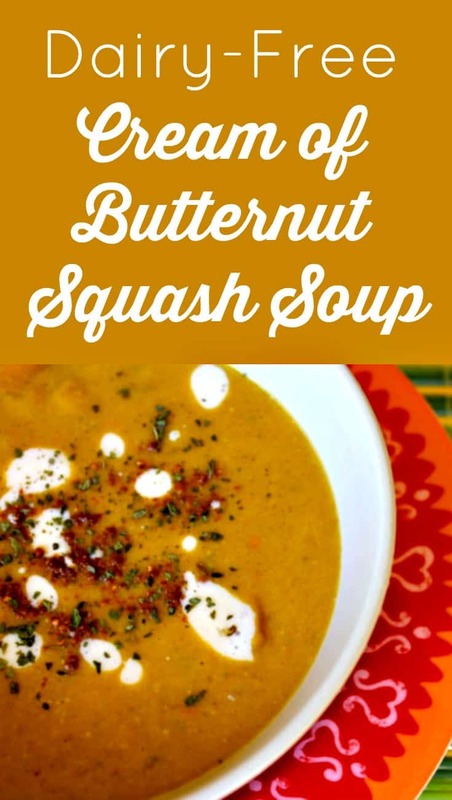 Pin this Vegan & Dairy-Free Butternut Squash Soup to save it for later! Well done Carrie, nice job! Even though it’s verging on summer down here in Australia, I’m moving to Canada in a month, so all these comforting, warm meals are definitely keeping on my track for meals to make in the cold! This is the best soup! It was so comforting on this cool fall night! Yummy soup! Thank you Carrie for sharing amazing recipes!